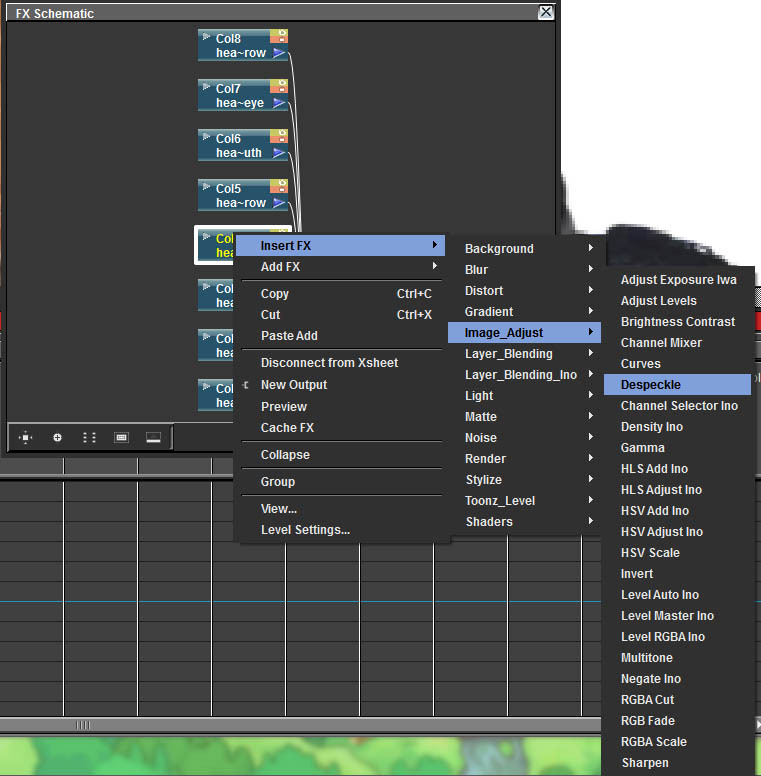 In this tutorial, I will go over how to use FX, and how I used FX to help clean a messy image up in OpenToonz. I don’t know if this is my fault for accidentally changing some unknown setting or not, but what I do know is that this strange border can be easily removed using OpenToonz’s built-in effects. 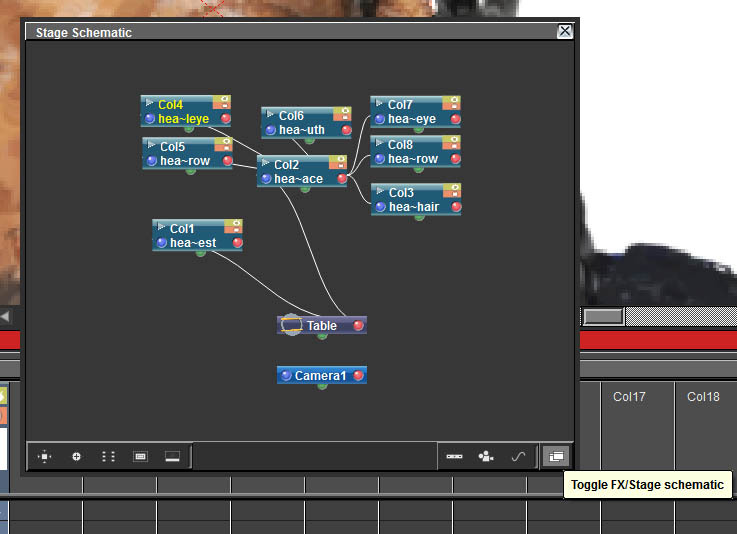 Next, right-click a column/level/node/whatever and you’ll be able to add FX to it by choosing an effect from Insert FX. 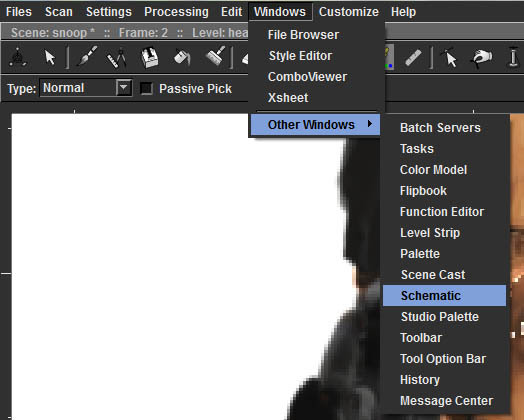 Here, I’m adding a Despeckle effect. 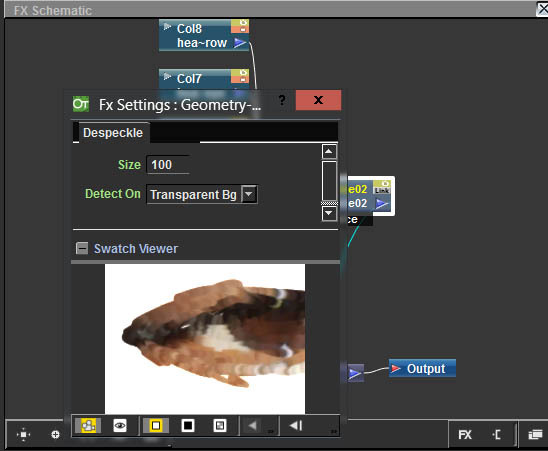 To change an effect’s settings, double-click its node to bring up its settings window. I eventually fixed up Snoop’s eye by using the previously mentioned Despeckle effect to get rid of some of the unwanted debris around the eye, and playing with two Body Highlight (Light > Body Highlight) effects, one for each eye half, to actually remove the border.